Pristine Inspections & Testing offers quality thorough home inspections, as well as mold and radon testing throughout Champaign, Urbana, and Mahomet Illinois and most of central Illinois. Over 9000 inspections performed and Pristine is now celebrating over 10 years of service. 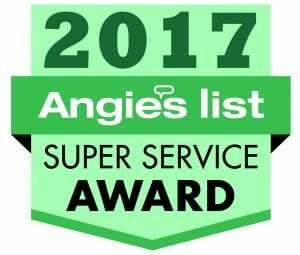 Angie's List Super Service Award winner 2011-2017! That’s why a professional Home Inspection is such a valuable investment. An analysis of the property, from the foundation to the roof, conducted by a specially trained and completely objective home inspector, can identify non functioning systems, damaged building components and safety issues. Having this information before you purchase, sell, or repair can return dividends, both financially and emotionally. Pristine Inspections & Testing consistently exceeds all industry standards with continuing education and training in all relevant home inspection areas. With a reputation for thoroughness and reliability, your home inspector is qualified to assist you with all of your inspection, radon testing or mold testing needs. We bring to you integrity, professionalism and the training required to provide you with a detailed, comprehensive report, to assist you in making a more informed, unbiased decision. We provide our home inspection services in Champaign and surrounding areas! Pristine Inspections & Testing offers quality thorough home inspections, as well as mold and radon testing throughout Champaign and most of central Illinois. Light commercial & apartments inspected based on your needs. Radon gas can be found in most buildings in central Illinois whether is a home, office, or school since this area has a high probability of elevated levels. "For anyone needing a thorough home inspection, I would highly recommend Pristine Home Inspections. Just this week, John came to inspect a home I’m in the process of purchasing. I felt completely comfortable with the knowledge and expertise that was displayed throughout the process. He wasn’t rushed, answered questions, and provided me with excellent results and recommendations. " "John did a thorough inspection, taking the time to address all of my concerns and answering each of my questions in an informative, direct manner. He was friendly and professional and I trusted his judgment and advice concerning my new home. Thanks John!" "Never before have we been so glad to spend $285 as in our recent home inspection. This oral and written tutorial helped us understand our potential new home and to prepare us for correcting some problems that have gone unnoticed by others. John was clear, concise and explained things in a way that we novices could grasp right away. The written report with pictures is remarkable & extremely helpful." - Rev Dr. Lonnie Southern, LTC USARNG ret. Pristine Inspections & Testing is committed to serving you, the client. We strive to maintain the highest level of education and training possible through our membership with the professional and accredited association of ASHI(American Society of Home Inspectors). Pristine Inspections & Testing will go over the highlights of the inspection on site as well as the PDF copy of the final report emailed to you the next day. Your understanding of the home inspection report is critical to our goal of providing the best customer service available. We encourage you to accompany the home inspector through the inspection process to receive a complete consultation and valuable orientation of the property and its systems.